Produced under the auspices of Seva International – Social Cohesion in Diversity. Social thinkers, festival directors, producers, event organizers, artists, dancers, musicians and community leaders and members in Sydney !! Come Engage and Create ! Travelling Art : Translations in the Making ! Presided over by Associate Professor Kalpana Ram, Department of Anthropology, Director of India Research Centre, Faculty of Arts, Macquarie University and Dr Shanti Raman, Pediatrician Western Sydney Community Health, Bharathanatyam dancer and Dance Enthusiast. Date : Sunday 2 August 2015. Time : 1:30pm for 2:00pm to 6:00pm with a short interval. Thank you for your inordinate support for SEVA and Sydhwaney Sounds from Sydney activities: ..Travelling Art is nearly full. To keep the admin work to the minimum we are expecting all those who have expressed interest to make sure they dont cancel as we will be turning back others once we reach a 100. Kindly be mindful of this – to keep admin work to the minimum we have not asked you to pay in advance – We trust you will come as promised and join us wholeheartedly to engage in a healthy exchange of ideas between cultures and genres !! Purpose: To bring artists together in the region and beyond to speak and validate their creative thoughts in a shared setting. Artists are constantly travelling today in the age of Globalisation. New paradigms in the field of theatre, dance, film, photography, sculpture and painting are constantly emerging and evolving in the blink of an eye. What do these new paradigms create within us? Do they complicate our associations with the past practices? Do they supersede the notions of the past? Or do they dovetail our thoughts of the past with the present and help artists to speak in different tongues both local and global ? Also included in the presentation will be discussions on how art can help with addressing modern medical, social and socio-economic issues such as, racial discrimination, healthy healing, domestic violence, climate change and more? Come and enjoy a day of sharing , a day of exchange of dialogues , a need for discussion, a purpose to foreground our future artistic collaborations and through performance express the under girded quest for an identity in the world at large. All participating members shown below will use visual and creative ways to present for half an hour. Shrikant has been performing , teaching and conducting workshops in Bharatanatyam for over a decade. A passionate dancer, he has worked his way through the evolutionary processes from performance to instruction to composition. Shrikant has performed extensively in India, United States Great Britain and Australia. 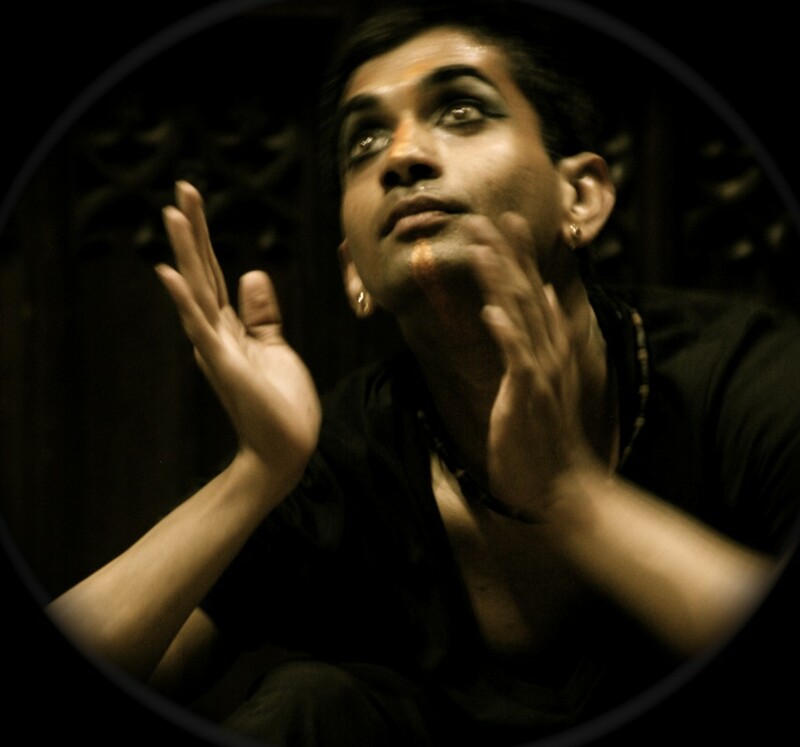 Shrikant is a masters degree holder in south Asian dance studies with a specific focus on the gender studies in dance anthropology from the University of Roehampton, and an MA degree holder in performing arts from Nalanda Dance Research Centre in India. He strives to acquire new structures within the parameters of classical Bharathanatyam vocabulary and aims to create a paradigm of movements drawn from his own personal journey as a global dancer in the world at large. Presently Shrikant works as an Artistic Associate for a multi arts organisation in West Yorkshire in Britain called ‘Kala Sangam‘. Annalouise Paul winner of the Australian Arts in Asia Award 2013 in Dance, is an independent choreographer, dancer and actor. Trained in contemporary dance at the Laban Centre in London and with key flamenco maestros in Spain, she has been making intercultural dance theatre for almost three decades. Annalouise danced for Bill T. Jones Co., Aletta Collins, Antonio Vargas Co., Karole Armitage and Michael Jackson. Her award-winning trilogy ‘Conversations in Rhythm + Dance’ [Mother Tongue, Game On, Isabel] explores culture, identity and transformation. Mother Tongue most recently premiered at Bangarra Studios and was inspired by sacred geometry, entwining eight traditional and contemporary body percussion forms and is nominated for 2015 Australian Dance Awards. Annalouise will travel to Singapore in October to collaborate with local company Maya Dance Theatre and has begun development on two new works Self Portrait, a new solo work with text and multimedia and Cielo Vivo, an exploration of Sephardi and flamenco cultures with live guitar, piano and poetry by Garcia Lorca. Theatre of Rhythm and Dance is an emerging national intercultural dance theatre company with a focus on contemporary cultural performance. In 2013, Theatre of Rhythm and Dance won the NSW Premier’s Export Scholarship for its inaugural international tours of Game On to Interface Festival, India. Hamsa Venkat and Govind Pillai are a guru shishya team who shall present together. 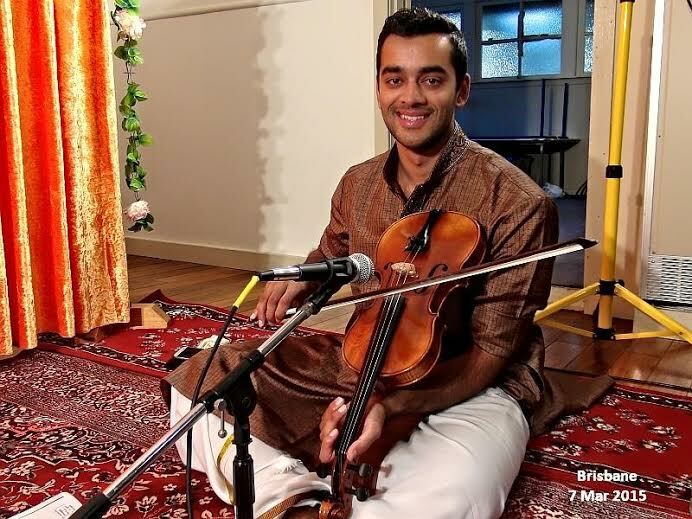 Govind Pillai is one of a few Australian male practitioners of Bharatanatyam. With a track-record of sell-out productions and festival appearances internationally, he has appeared at prestigious venues and events including the Princess Theatre (Melbourne), Bangarra Theatre (Sydney) and the Victorian College of the Arts (Melbourne). Govind is a performer and dance maker with an active practice in performance, choreography, direction and teaching whilst also actively contributing to the Australian arts scene through his past and present roles which include: Director of Karma Dance Inc., Board Member of the National Theatre (St Kilda); Lead Male Dancer of Samskriti Dance (Sydney); Vice President of Flare Dance Co. (Melbourne), and Dance Adviser elect to the Federation of Indian Music and Dance Inc. (Victoria). Jiva Parthipan is a director, creative producer and arts-cultural worker based in Sydney and working internationally with theatre, dance, performance, film and inter disciplinary art. Recent credits include Dance Africa Dance and Let It Be at Riverside and Little Bagdad with Powerhouse Youth Theatre. Past works have been seen at Performance Space at Carriageworks,Tate Modern, ICA – Institute of Contemporary Art, Lilliayan Baylis at Saddlers Wells (London), National Review of Live Arts – Glasgow, IETM ( International Network for Contemporary Performing Arts)- Paris and Dublin, Jomba Festival South Africa to include a few. 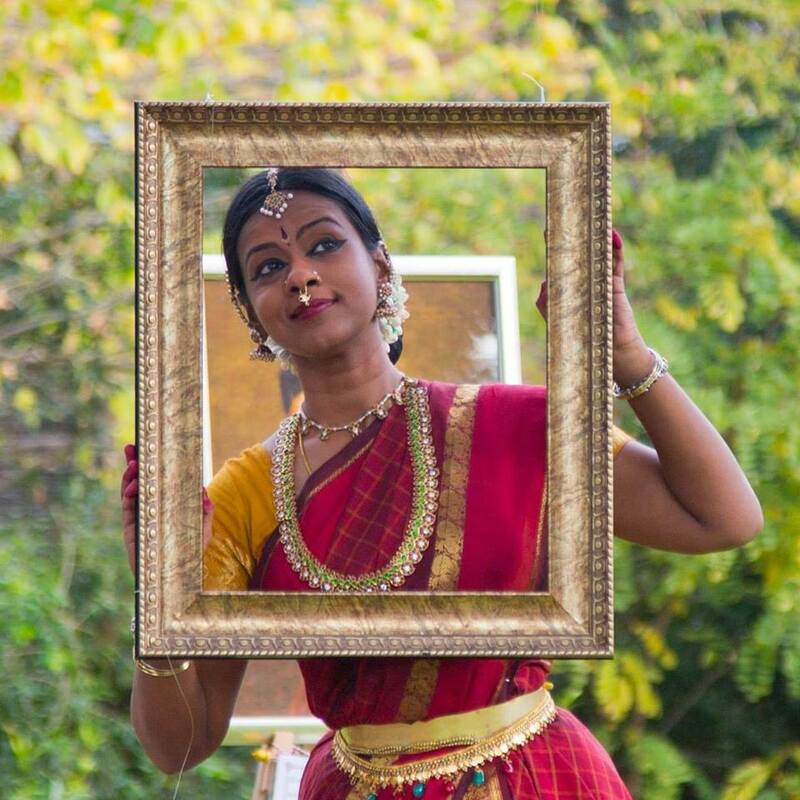 Jiva was visiting lecturer in Performance at Central St Martin College for the Arts, London and trained in Bharata Natyam with Pushkala Gopal and Unnikrishnan before obtaining a MA (Distinction) Performance at Goldsmiths College, University of London. Jiva was the first male dance dancer to dance with Shobana Jeyasigh dance company which recently celebrated 25th anniversary. A personal and artistic profile of Jiva was published by Penguin Australia in A COUNTRY TOO FAR – a collection of essays by booker prize winning Australian witter Tom Kennelly. Jiva currently works as a CCD officer at STARTTS Sydney. Aruna Gandhi is a Bharatanatyam dancer of repute, who trained for over two decades under the renowned Guru Prof. Sudharani Raghupathy in Chennai, India. 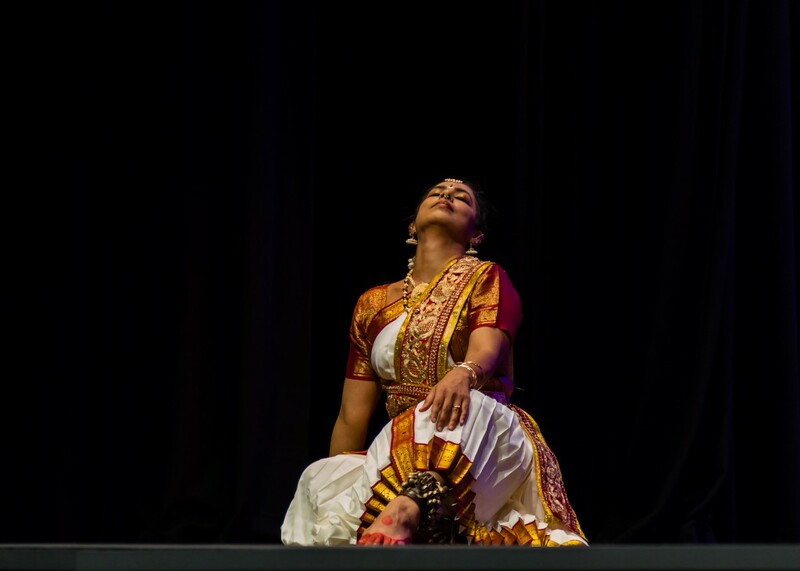 Settled in Sydney since 2009, she is the Founder-Director of Silambam-Sydney School of Indian Traditional Dance. She was awarded the ‘Distinguished Talent Visa’ under arts category, in Australia in 2013. 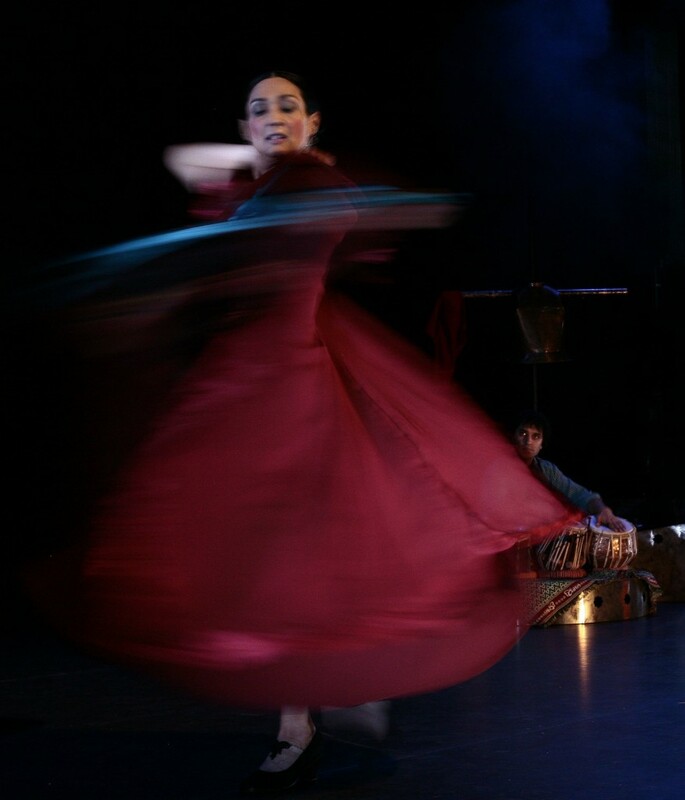 Ruchi Sanghi is a reputed Kathak dancer in Sydney. Kathak is a dynamic theatrical dance form known for its sparkling footwork, fast whirling movements, subtle abhinaya or mimetic dance. Ruchi Sanghi started training from the young age of seven. Her initial training was at the prestigious Kathak Kendra under the famous Jaipur Gharana guru Shri Rajendra Gangani. After a brief period she studied under the tutelage of The legendary Kathak dancer and choreographer’ Nritya Natraj ‘Shri Gopi Krishna in Mumbai. She matured as a dancer and developed the style of kathak popularized by her Guruji Shri Gopi Krishna. Further she developed experience in performance and choreography in kathak under his guidance. Ruchi established her School of kathak in Sydney in the year 2000 to educate and promote this dance form. She is dedicated to teaching and training students, to educate and spread knowledge about this exquisite art form and finally through productions help students realize their maximum potential as dancers. As a choreographer she wishes to create original works through the medium of kathak and in collaboration with other dance forms.She has collaborated with El duede flamenco on several projects such as ‘Nine flavors’ and ‘Namaste’. Her sell out productions ‘Nautch Girls’ and ‘Devdas the Musical’ have established her as a trail blazer of her art form.